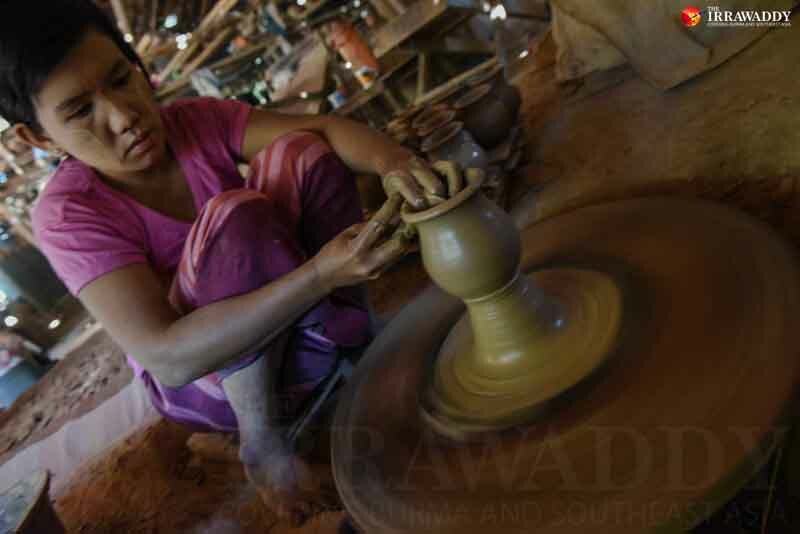 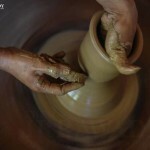 TWANTE TOWNSHIP, Rangoon Division — Situated on the Twante canal, which connects the Irrawaddy and Rangoon rivers, the town of Twante, about 15 miles southwest of the commercial capital Rangoon, has long been known for its pottery industry. 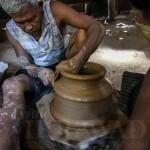 The small town’s glazed clay pots of various sizes—from simple flower vases to pots taller than some preteens—are widely used across the Irrawaddy Delta and Lower Burma, serving various functions: holding bouquets of flowers offered at Buddhist shrines, collecting rainwater for year-round household use, or storing cooking oil, fish paste or other staples of Burmese cuisine. 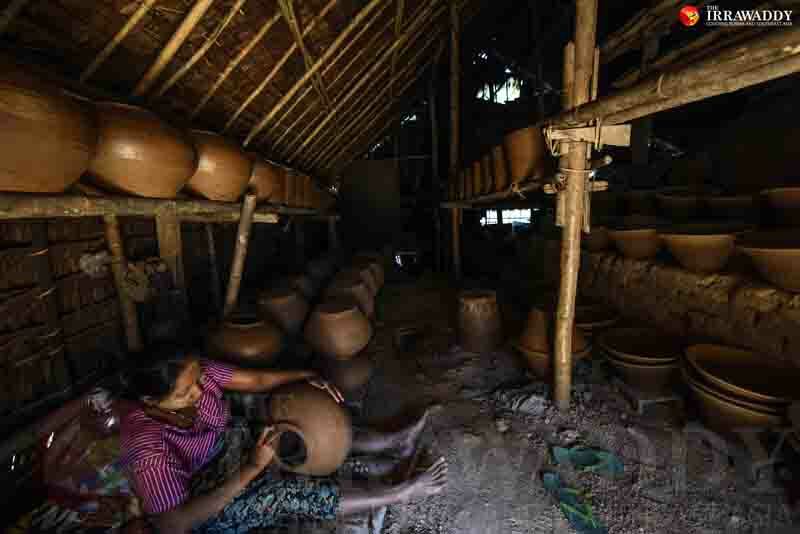 These days, however, the once-thriving industry is challenged, with the rise in popularity of plastic containers that are much lighter and more durable than their clay competitors. 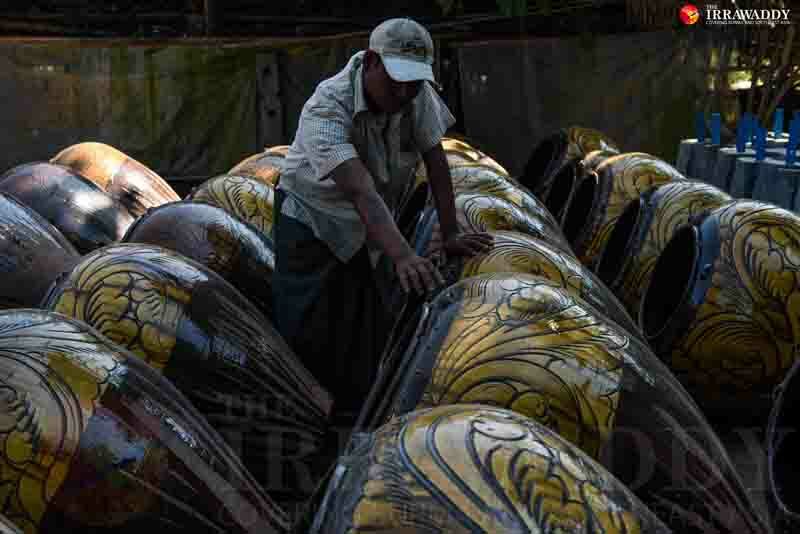 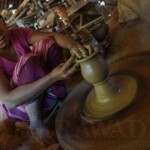 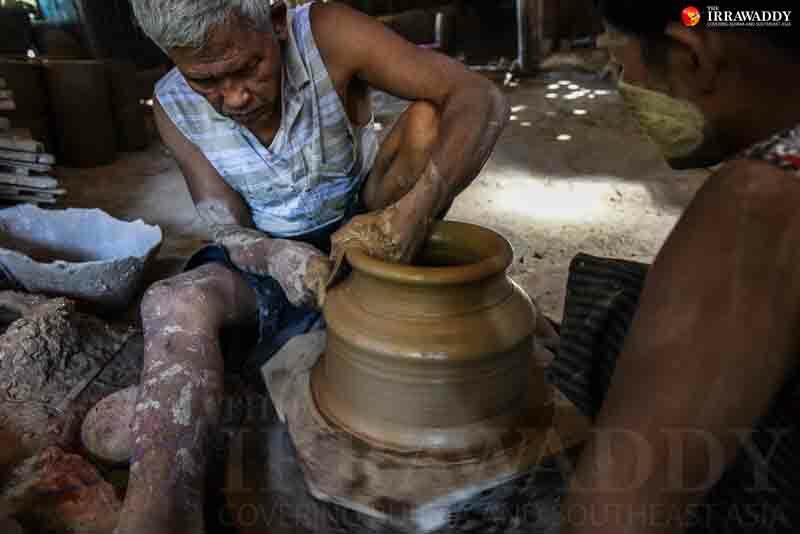 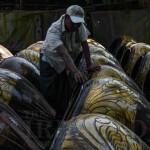 During a recent visit to the town, The Irrawaddy found most of the pottery sheds, once abuzz with the whirring of pottery wheels, were idle due to a lack of product orders. 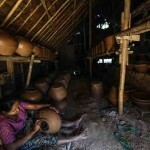 Only a few large pottery sheds are still actively producing, with most called into service only when orders come in. 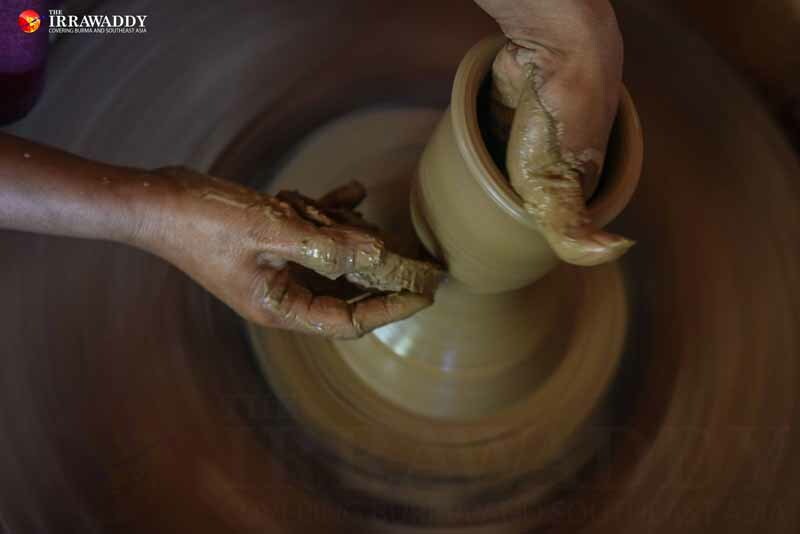 In their courtyards, large glazed clay pots now mostly seen as decorative items in hotel lobbies are laid in rows, waiting for prospective buyers.